Patricia Paris' second novel, The Spiritual Side of Sarah, is a compelling story of a southern woman who learns very early in life just how easy it is to get what she wants. Sarah ventures into courtship and marriage in much the same way that the spider weaves its web and her extraordinary journey into fundamentalism allows the reader to see a side of the Deep South rarely seen by mainstream America. Readers will find Sarah conniving, compelling, and wanton. Set in the 40's and 50's, The Spiritual Side of Sarah, is a 'must read' for the nostalgic and those who like books about towns in the old South and the people who lived in them. Paris also shares her lifelong love of writing with readers everywhere as she delivers her unique, tongue-in-cheek style in her numerous newspaper columns, titled "Patricia's Porch Talk" (search Google), in various newspapers across the country. Paris' first novel, Connections, is available from 1st Books. You may contact Ms. Paris at patriciaparisbooks@hotmail.com. Chattanoogan.com writes a terrific review of The Spiritual Side of Sarah, including an interview with the author. 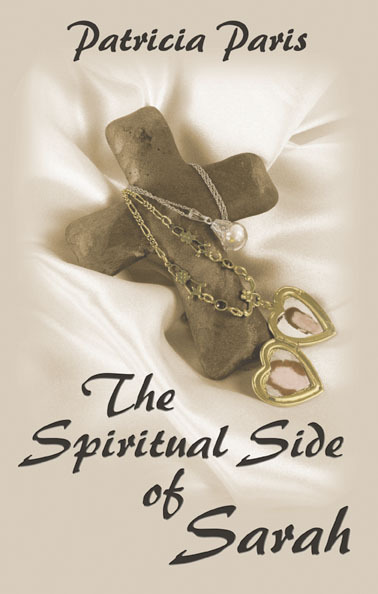 To read what readers and reviewers are saying about The Spiritual Side of Sarah go to Readers' Quotes. Additional reviews can be found on Amazon.com.